Not long ago I got my very first Keurig coffee maker, it was actually a cheap k-cup brewer from Farberware but my problem was universal. I couldn’t fit my travel mug in the coffee maker without removing the drip tray. 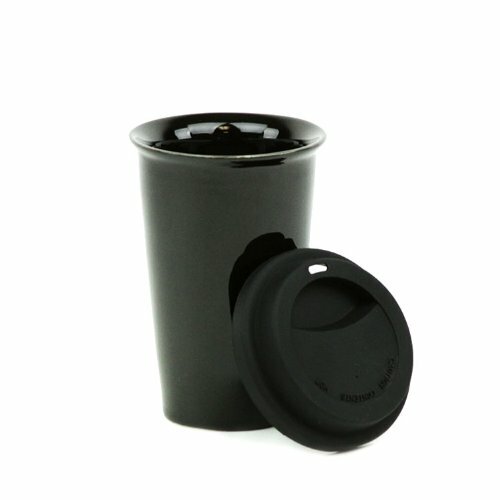 After muddling through life with my regular travel mug I finally got wise and picked up a mug that was better sized for Keurig style coffee machines – for me that was the Oxo Mini LiquiSeal mug, sized at a perfect 9.5 ounces. As it turns out however there are actually a lot of super short travel mugs for Keurig coffee makers, many more than there were even just a few years ago. In today’s article, we are going to take a look at the Mini Liquiseal mug and the other main travel coffee mugs which you might want to go for. We’re also going to keep in mind what’s special about each of them and why they are all potentially great choices. So, what are we waiting for? Let’s get started already! 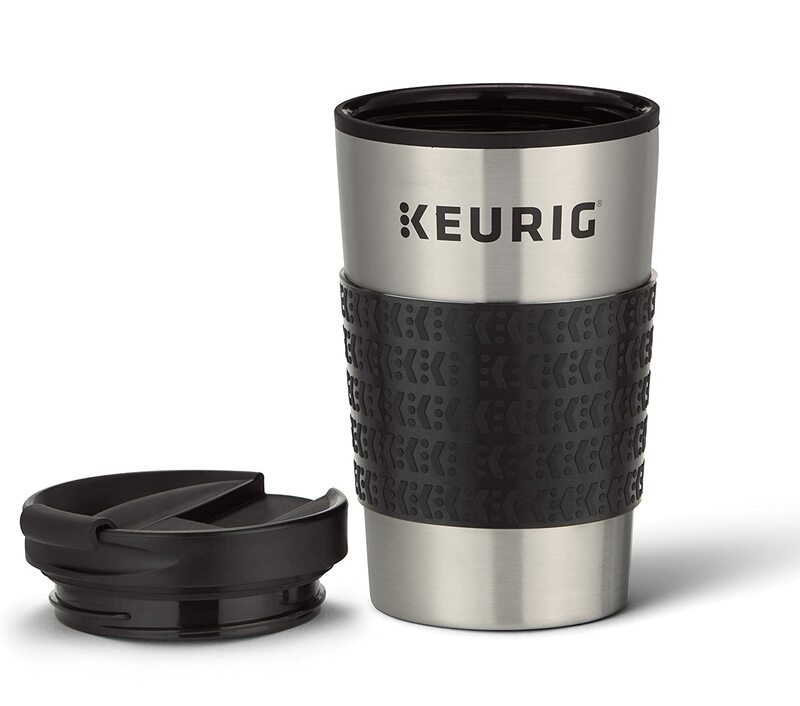 So, while it might be hard to find a great Keurig size travel mug in a local store, there are a lot of models available online and with various local specialty retailers. 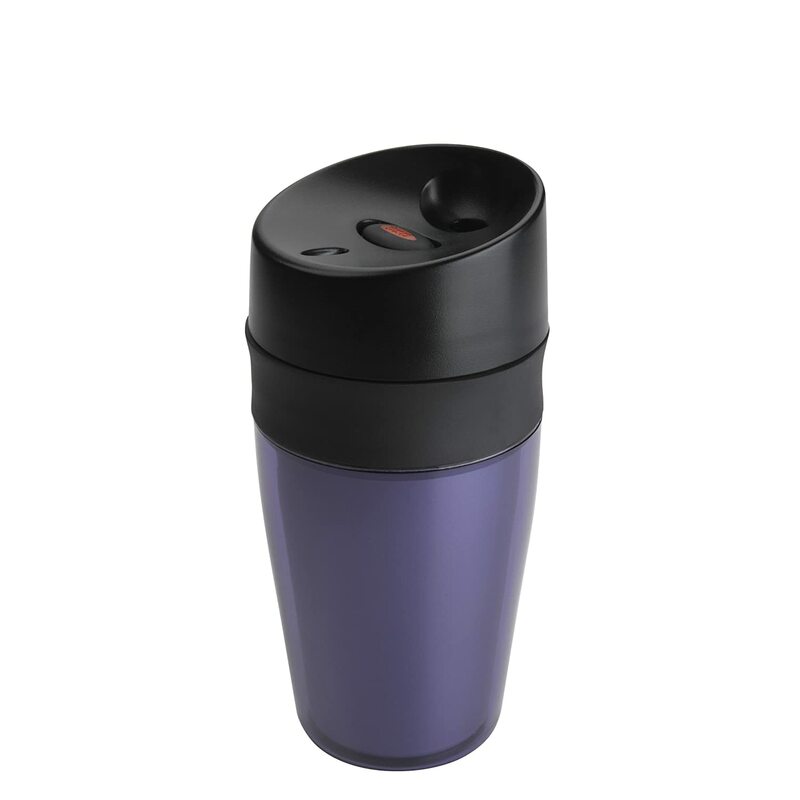 One of the most favored of these Travel Mugs is the OXO Good Grips Mini LiquiSeal Travel Mug. As the name makes it obvious, it’s specially designed for you to be able to get a good grip on it. And it’s actually shut air tight to make sure that much heat isn’t lost either. Keeping these facts in mind, it might be said that this model rightly deserves it reputation. Everyone who has used it seems to be praising it and so this mug seems to be a really great option to go for. It has a capacity of 9.5 oz, so please keep your capacity needs in mind. And then comes the Keurig 120302 Stainless Steel Travel Mug. As the name makes plain, it’s one of the models that best fit in this category. However, that’s not all there is to it. This model, as is obvious from its name, has a stainless steel body, which gives this model a sturdy frame and a really beautiful look. This attractive model comes in a size of 12 oz and is a great choice for almost anyone planning to go for a model like this. 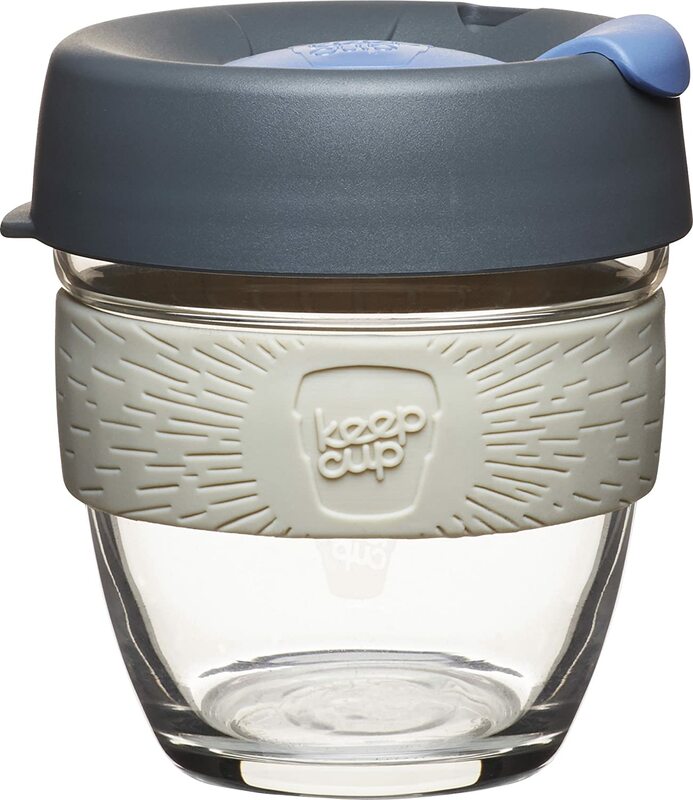 And then comes the Keep Cup 8-Ounce Brew Glass Reusable Coffee Cup. 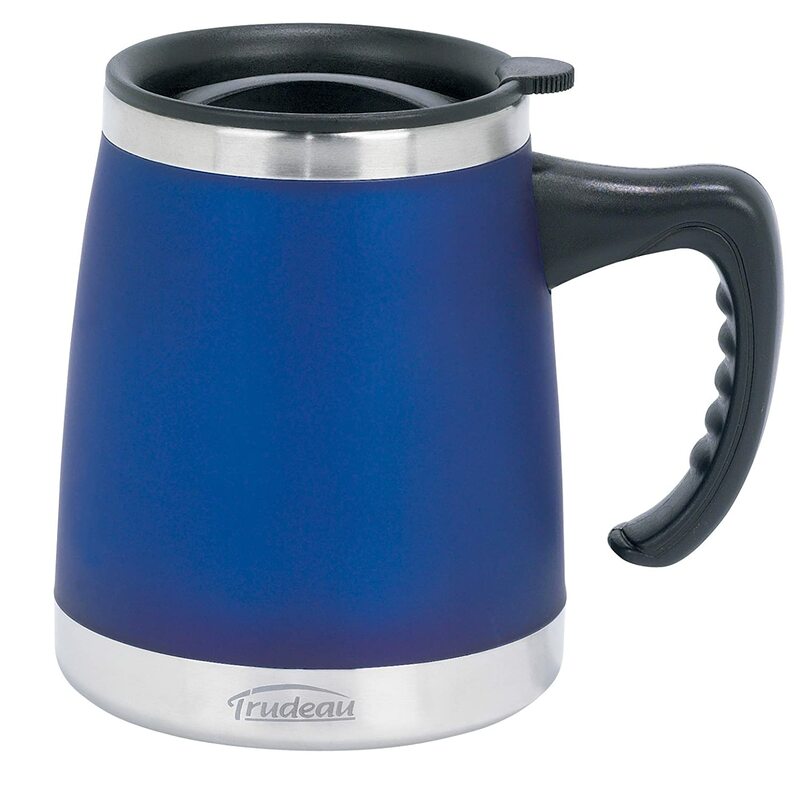 As you can see in the attached picture, this model is has a capacity of 8 ounces, which is a really handy size if you’re looking for a good travel mug. Not only that, this model also has a unique and beautiful appearance, which is bound to make you happy just by looking at it. Most of the people who have used it have said that they don’t ever want to change their model. This makes it clear that this model is really loved by all its users and that makes it a really great choice. So, if you’re looking for a great new model, this model must be considered, however, keep in mind the glass does give it a risk of shattering. 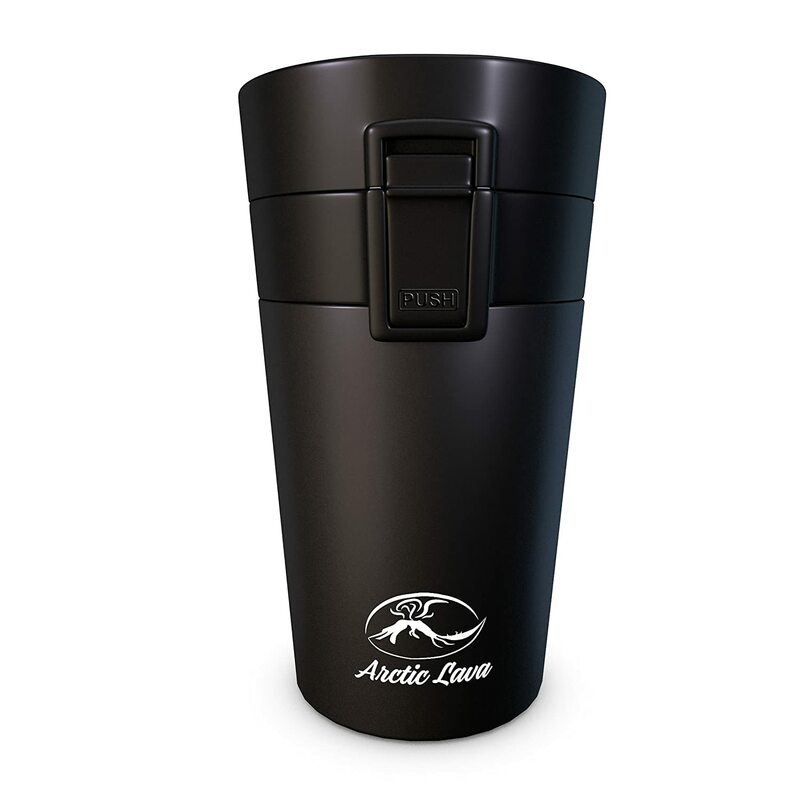 Next comes the Arctic Lava Double Wall Vacuum Insulated Travel Mug. This is one the sort of model that comes filled with features. This means there’s a lot to discuss. To begin with, this model has two walls and it’s vacuum-insulated in the middle, ensuring minimal loss of heat. At the same time, this model has a 18/8 stainless steel body which makes it both durable and aesthetically pleasing. This makes this 10 oz model an excellent choice for most people. So, if you’re looking for a great new model that makes sure to keep your drinks hot, or cold, you simply can’t avoid this. Eco is another well-insulated model. The people who have used it have never ending praise of it! Surprisingly, however, this model is pretty similar to the Arctic Lava we discussed when it comes to having a double wall. The lack of a vacuum-sealed interior means it might not insulate quite as well and the ceramic body does present the risk of chipping or shattering, though that same body also makes it dishwasher safe. This model also has a beautiful silicone lid, which also prevents loss of heat, making this model one of the best heat-retaining models that you might get out there. So, for those of you who want to keep the heat in your coffee, this is a great chance! This is a slightly larger model than the other ones, intended more for stationary use than traveling. However, it’s still a good mug and the size reflects that. The handle also makes it unique on this list, for those worried about their grip options. Models like this are often used by couples who travel together and such, making it a great choice for some specific people. This model, as I just said, is slightly larger than the average one you get out there. More specifically, it has a capacity of 15 oz making it one of the largest models in this list. As the image shows, the base is wider than most and the handle adds to that width, so if you plan to travel with it, be aware that it may not fit in vehicle cupholders. Now, you must be wondering already about how we managed to make this list. As we said earlier, there are a lot of models out there and it’s really easy to get confused. However, there are some things that we brought into consideration that helped us make a list to help you out. First of all, of course, the capacity of the model. The capacity was extremely important, since we are looking at travel models. We don’t want pointlessly huge models that are hard to put on a counter, let aside carry around. So, that’s one of the things we considered. As a result, we didn’t get to discussing models in this article that were too large. Of course, we had to keep in mind that they were “Keurig Friendly”. That’s also one of the main things that this topic covers so that obviously had to be kept in mind when listing the models. So, while not always referenced multiple times, that has been kept in mind all the time. Then comes the insulation of the model. For example, in some cases it’s decided by the fact if it’s vacuum insulation or not. However, there are also other kinds of insulation processes such as by making the body/lid of a model with an insulating material like silicon. Could you find a model in this list that provides you with this? Then we considered the aesthetic aspect. Yeah, while it might seem pointless for some, it’s really important. You wouldn’t want your mug to turn into a source of embarrassment because you bought without considering its looks, right? 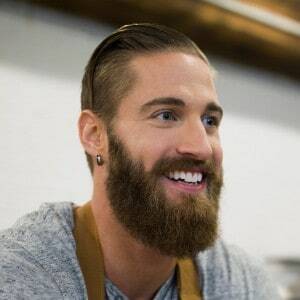 Well don’t you worry, even if you’re not that good at finding what matches your looks, we’ve got some models here that will suit all the kitchens, desks, and cars out there- yours included! And we also considered the durability of every model. We believe that durability is a really important factor for just any model because it actually indirectly pays for itself. So that’s one of the things we’ve kept strictly in mind when making this list. At this point, you may have a lot of questions. I can assure you that it’s natural and, once again, as your host, it’s my responsibility and pleasure to answer any queries that you might have. However, since I can’t really ask you questions as I write this article, I’m going to leave the answers to the most commonly asked questions, for now, and I’m going to hope that you reach out to me if you have any further queries about anything. Must I carry a small model like this if I go to travel? No, not at all! In fact, you’re free to carry regular models too if you want. However, in most of the cases, that’s not what people do. When you’re traveling, you often have to carry your own luggage and that makes it really important for you to actually keep in mind how bulky it is and how heavy it becomes. Larger models are usually heavier and harder to carry and that’s the main reason why travel models exist. As I said earlier, this entirely depends on what your needs are. Some people look for a better grip feature, while some people look for a better insulation. So, the best feature that you might look for varies with your needs, but keep in mind that there is a model dedicated to serving every need and you just need to search properly. For this, you have to know your specific needs. Of course. Safety is one of the main concerns given to the manufacturers. They had to get a lot of certifications from a lot of organizations to be able to produce them on this scale. Also, all of these are pretty large companies so you don’t really have to worry a lot because they are entirely safe. The fact that they are safe is also further proven by the people who have used them and love them. So, there’s no reason to worry about this. At the end of the day, you must remember that you’re buying the model for yourself, therefore, you must know all your specific needs and make sure that it serves those. You must be aware about your specific needs and judge the product according to that. Keep in mind that the best model out there isn’t always the right one for you. The best one for you is the one that fills your needs at the most reasonable price. So, keep that in mind and you’ll be good to go!